100% Polyester CoolMax is the fastest drying moisture management fabric. Its four-channel fibers move sweat away from your body. CoolMax is highly breathable and easy to care for. 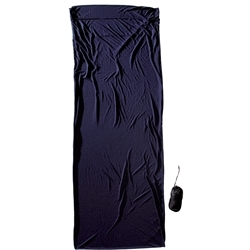 CoolMax TravelSheets wick moisture away from your body and keep you dry and comfortable. They do not have a side opening or a zipper for best performance.